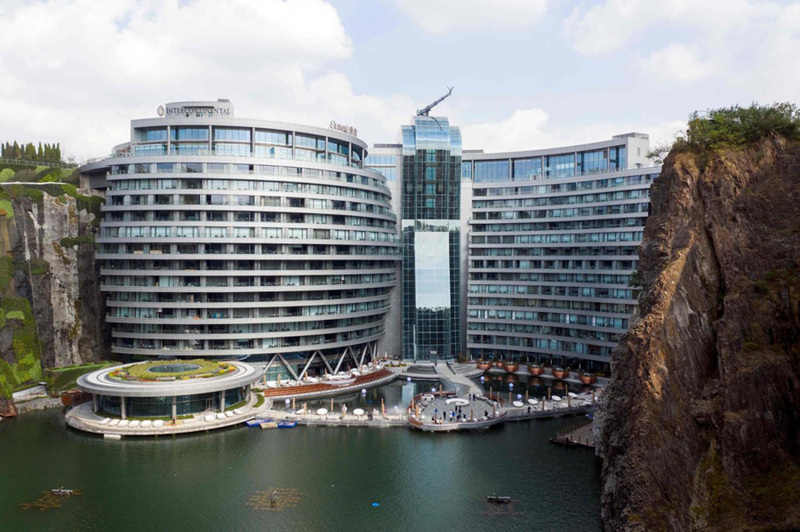 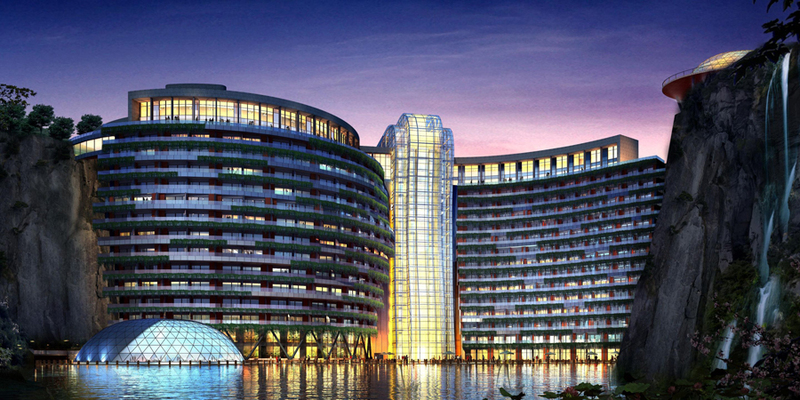 Built into the side of a former rock quarry, the InterContinental Shanghai Wonderland Hotel takes full advantage of its unique location. 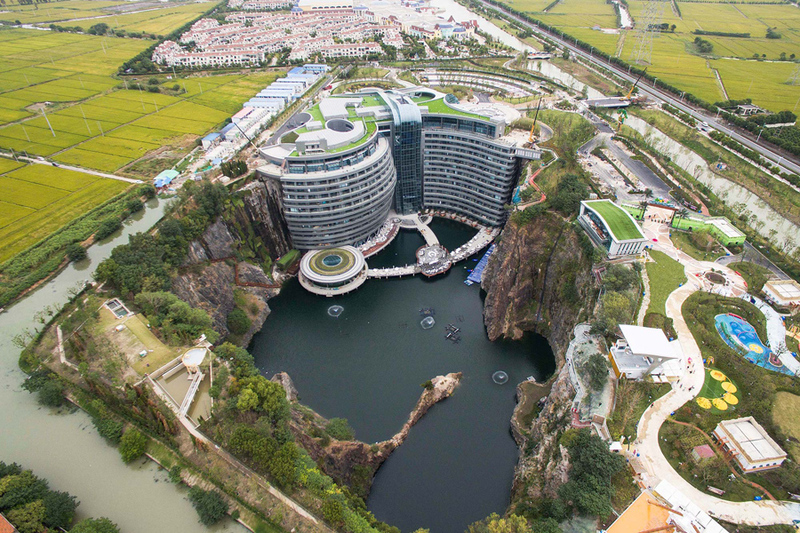 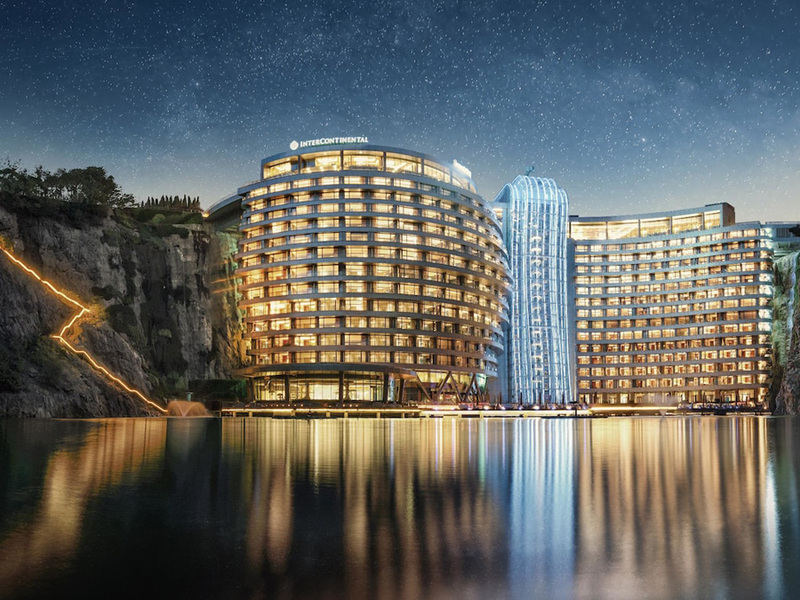 It’s situated a short drive from Shanghai and features 337 rooms and suites spread across 19 stories, two of which rise above the surrounding landscape, and several of which dip below the surface of the lake formed at the quarry bottom. 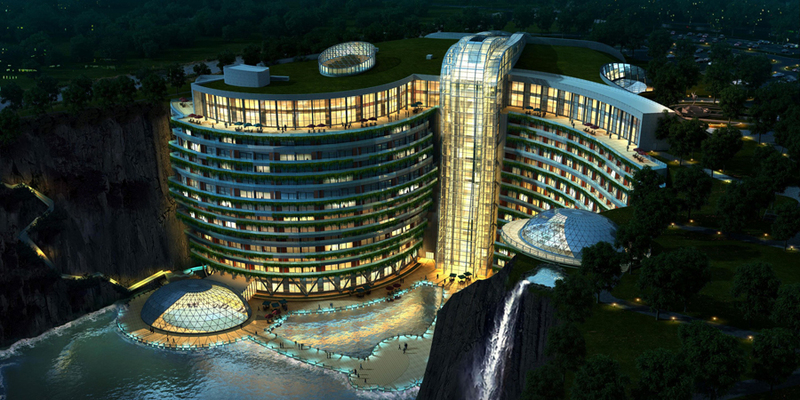 The soaring central glass atrium is meant to mimic a waterfall like the natural one flowing adjacent to the property. 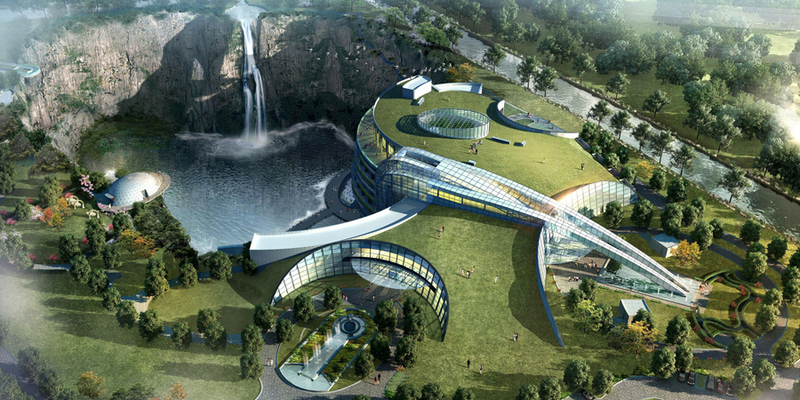 Underground, there’s a watersports complex, pool, and restaurant while an extreme sports center is cantilevered over the quarry. 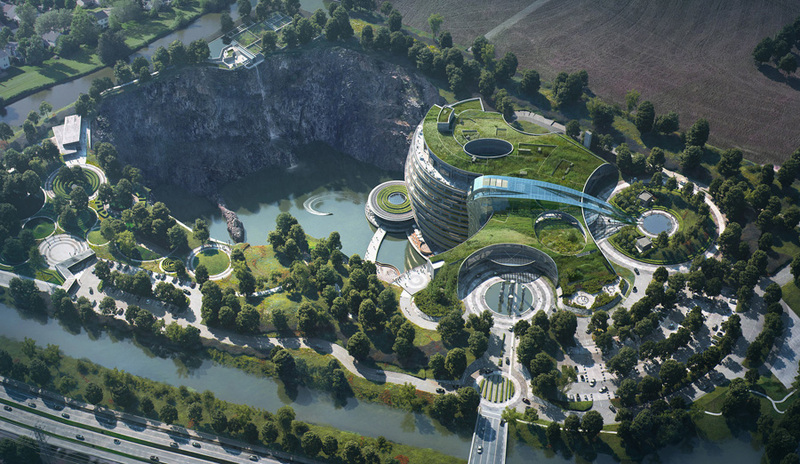 With a green roof, solar panels, and geothermal energy, the entire project is environmentally-friendly. 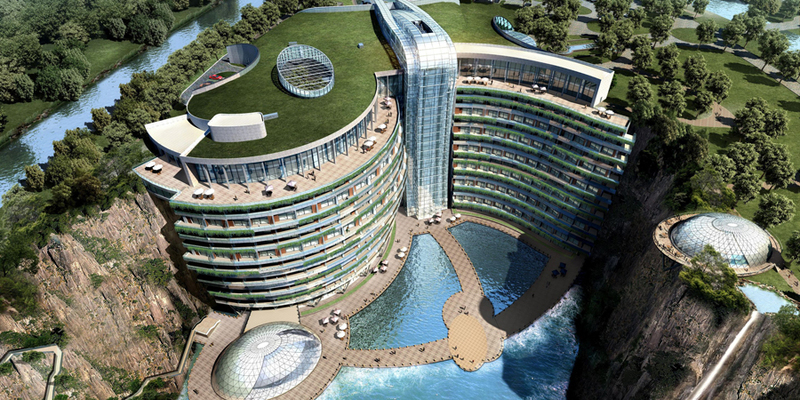 And be sure to check 5 Of The World’s Unusual Hotels.